The recently completed commercial core of Osprey Village. The brick-faced structure in the foreground was approved as a live-work development, with shopowners living above their businesses. 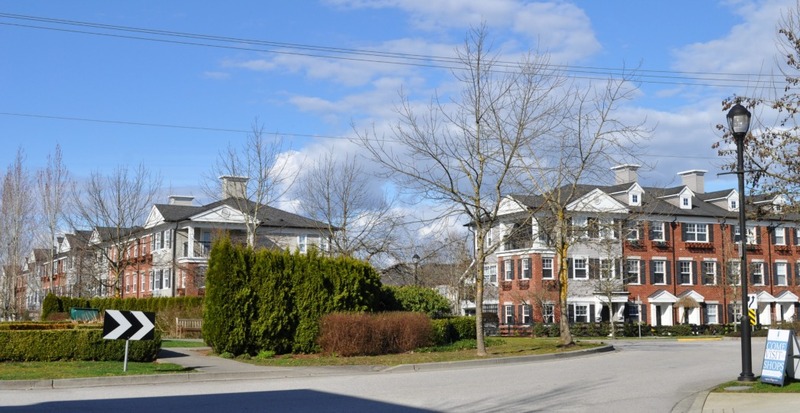 The city of Pitt Meadows, British Columbia, population 18,500, has shown how a small municipality can function effectively in a large urban region. 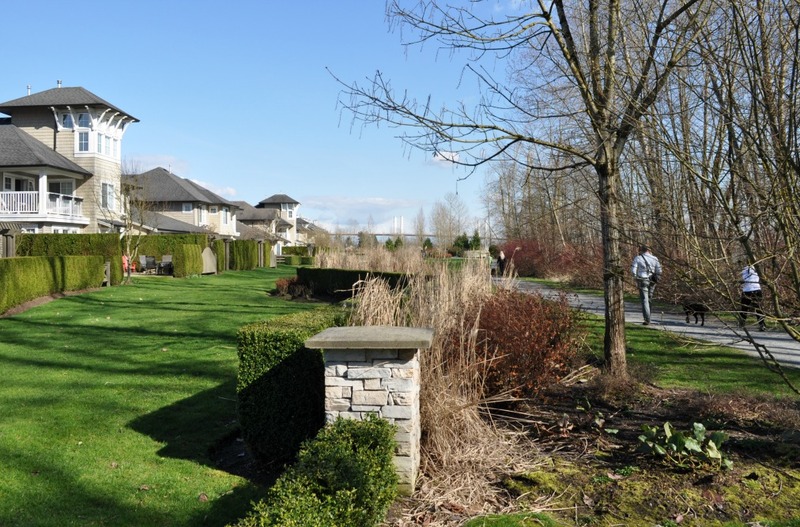 Residents enjoy relatively low property taxes and much the same services as Surrey, a nearby city with a half a million people. 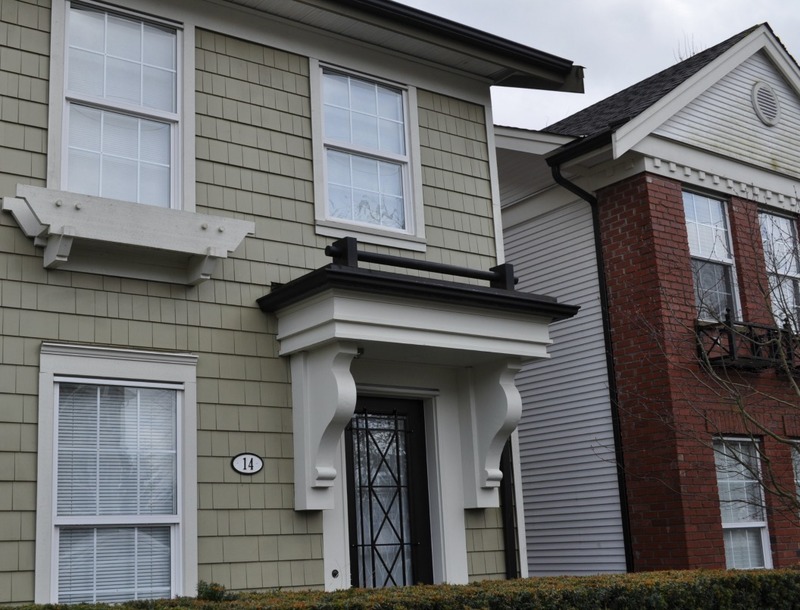 Osprey Village, a Pitt Meadows neighbourhood overlooking the Fraser River, was built over the past decade with patience and (I think) good taste, at least compared with the competition in other Fraseropolis suburbs. The commercial zone pictured above is short on everyday services and heavy on dog spas and craft galleries, but it’s attractive and cozy, and is now a mini-tourism destination for cyclists and for families looking to walk along the river. (Osprey is at the western end of a regional pathway network, and not far from the Golden Ears Bridge; cycling links to Coquitlam and Langley are excellent.) The 2009 land use plan adopted by City Council in 2009 provides for up to 25 live-work units on the main street or immediately behind, and the community hall by the river park acts as a regional conference centres, so there’s continued pedestrian traffic in the Osprey village centre even on weekdays. By my reading of the plan, the area is designed to house close to 2,000 people. The mix of housing is fair, with a big selection of townhomes, although the location and style make Osprey more expensive than most other neighbourhoods in the outer suburbs. Pitt Meadows is 45 minutes by car from downtown Vancouver in mid-day traffic. Pitt was an 18th-century British prime minister, as in Pittsburgh, Pennsylvania. Local farmers petitioned for independence from the neighbouring District of Maple Ridge in 1914, and the two communities ever been rivals ever since. Most recently, the shared parks and recreation commission was shut down, leaving both cities to go their own way. 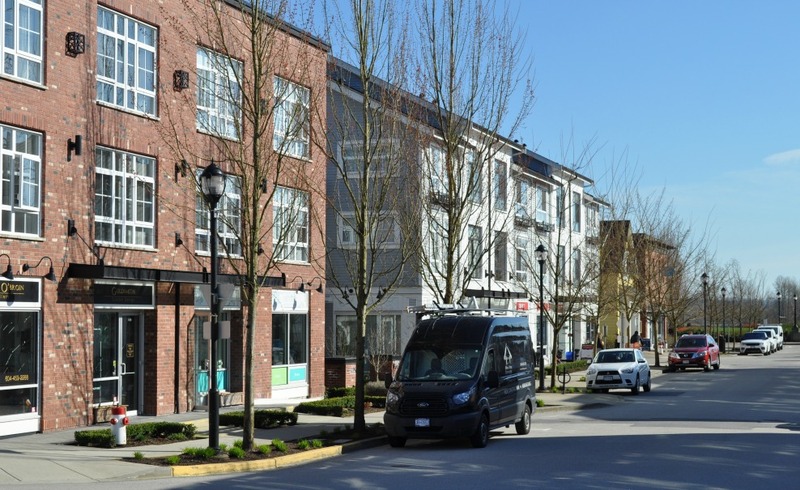 The Pitt Meadows town centre, with retail and professional services, is a 40-minute walk from Osprey. We’ll take a brief look in our next post.